I have been drooling over the iPad since it came out, but couldn't justify spending a lot on something that could be broken so easily by the little ones. Things dont last long in a household with 3 under 3! My husband is an apple dork enthusiast, so even before it was announced, we knew we wanted the iPad mini. It works much better with our lifestyle; Something that fits easily in a diaper bag, is lightweight, and doesn't come with such a large price tag. We were way excited when it arrived on our doorstep as an early Christmas present from my amazing MIL. She is so thoughtful! I used some scrap fabric with a left over button and came up with this handy iPad mini sleeve. Isn't it cute? 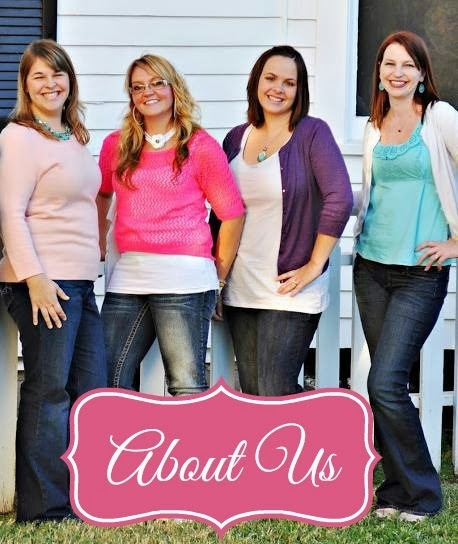 It seriously only took me 45 minutes from start to finish (with interruptions from 3 littles and a husband). Super easy and quick! I really like how slim and portable it is. 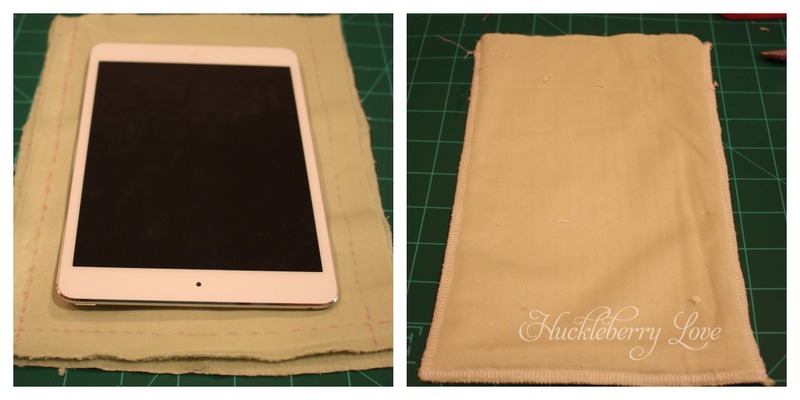 First, starting with the inner fabric, trace about 1/2" away around the bottom and sides of your tablet. 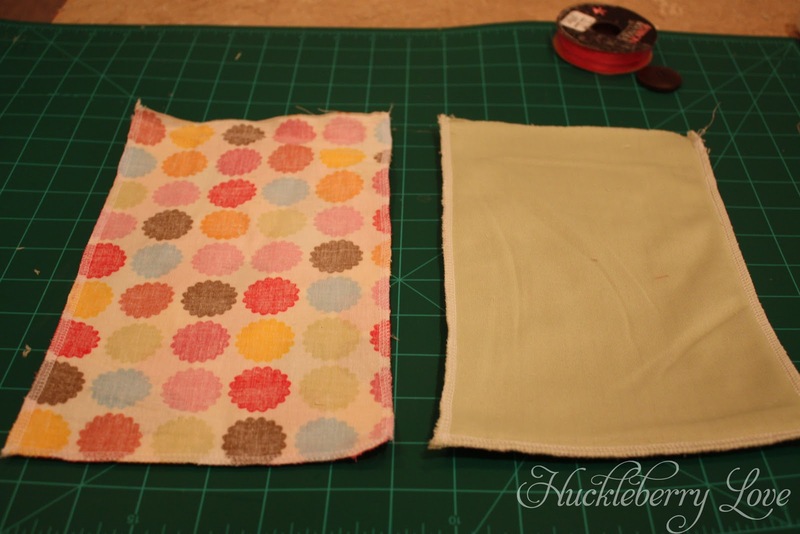 Cut 2 and with right sides together, serge or sew. Do this on all three sides, leaving the top open. 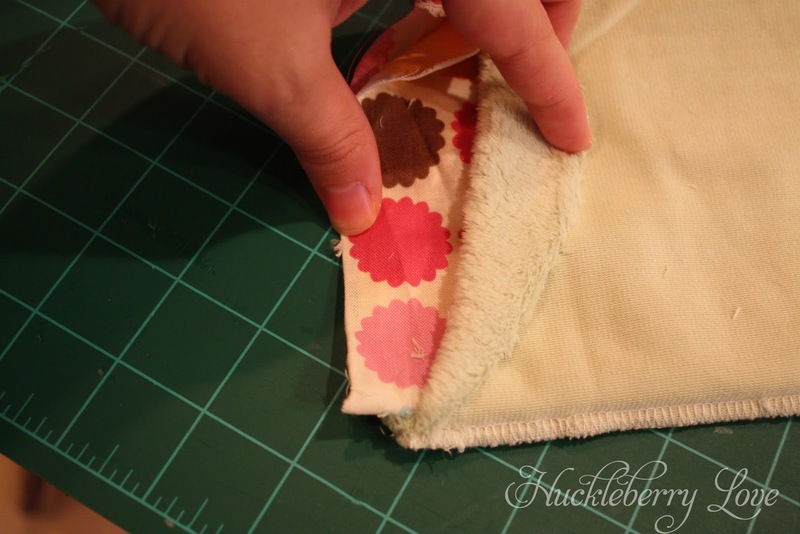 Test out the pocket that you have made by placing your tablet inside and making sure there is a little bit of wiggle room. Do the same thing with your outer fabric. This will give you two of the same size pockets. Turn your outer fabric right side out. Place the outer fabric inside the inner fabric pocket. The right sides will be facing. At this point, I placed my iPad mini inside the pockets and marked how tall I wanted the case to be and trimmed any excess fabric (leaving a 1/4" seam allowance). Put the pockets on hold and make your loop. I made mine by measuring enough fabric to wrap around the button, serging right sides together, and turning right side out. 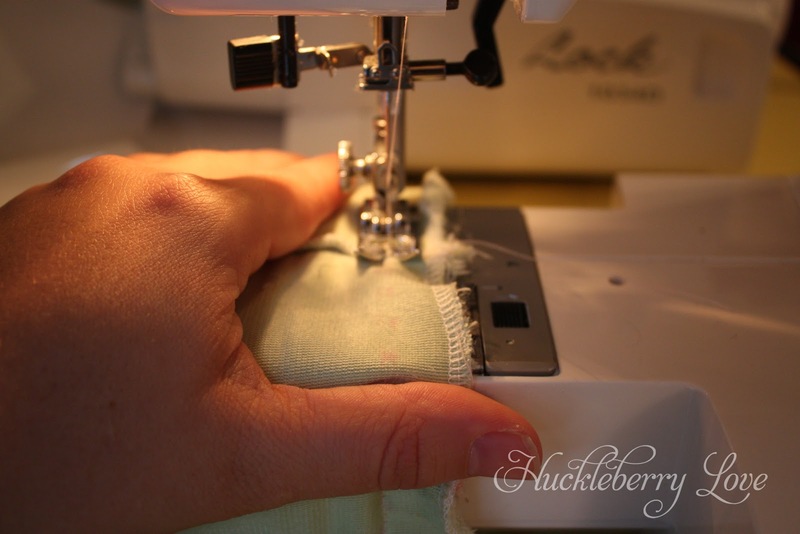 Take your loop (facing down like a U) and pin in place in between the two pockets (in the center). Sew along the line that you previously marked for the height. It should be a sandwich of inner fabric, loop, outer fabric. Make sure to leave an opening large enough to turn fabrics right side out. 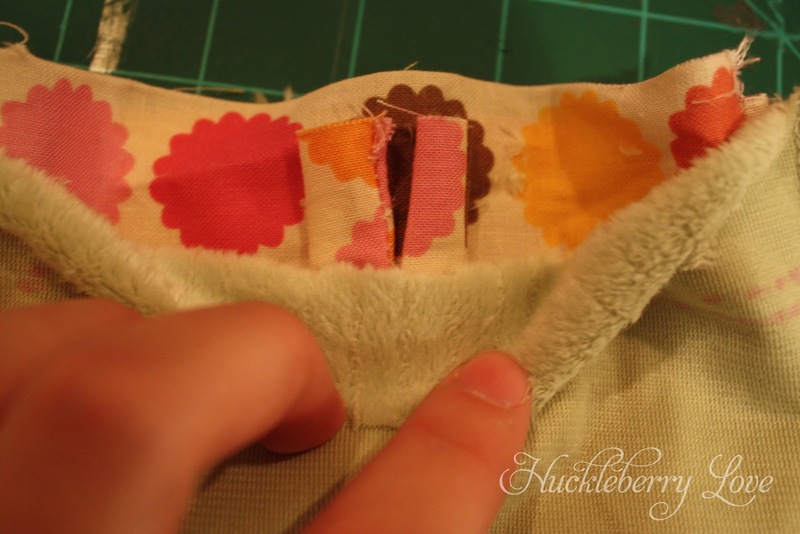 I went back and serged the edge of the inner fabric to reduce stretching during this step. 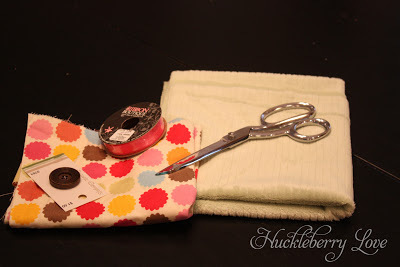 Turn the fabrics right side out and place the inner fabric into the outer fabric. 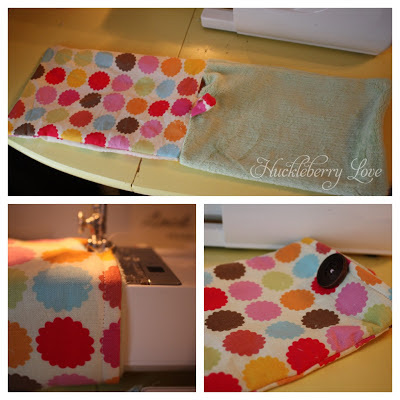 Fold the loop over the opening and make a mark for the button. Sew the button on through both layers of fabric. 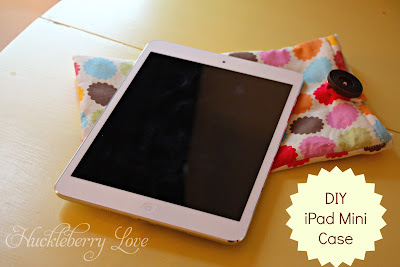 Slip your iPad in and Enjoy! I really was surprised at how quickly I turned this one out. I had all of the supplies on hand, so this project cost me $0. I'm thinking of making a few of these as birthday gifts. 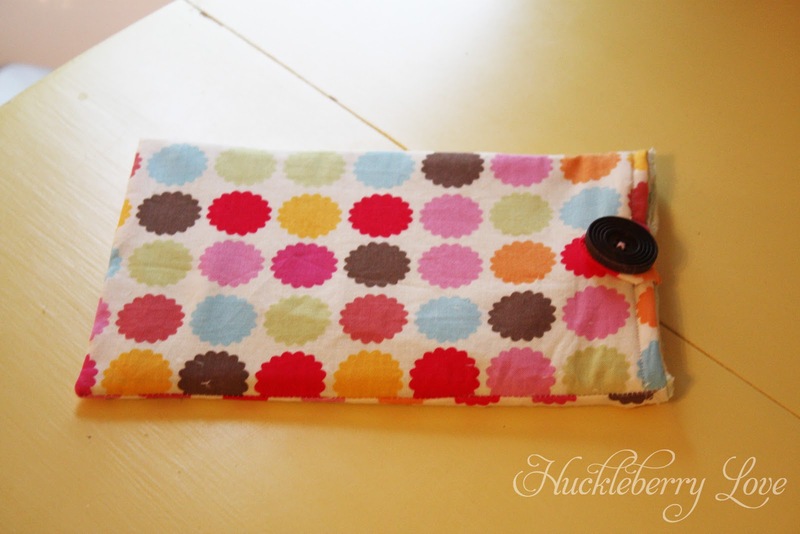 Do you have an ipad, nook, or other tablet that needs a case? What were your favorite gifts this holiday season? This was a great tutorial. I used it this afternoon. It took me twice the time, but I'm also a sewing beginner. Thanks!